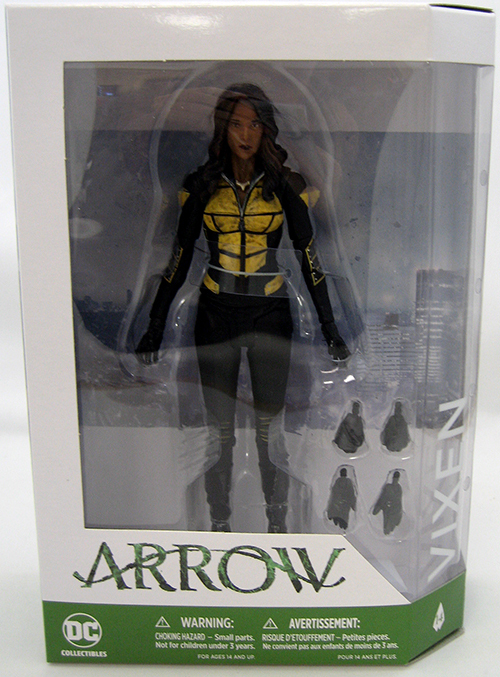 Description: Straight from the hit Arrow TV series comes this Vixen action figure! Harnessing the powers of animals through her mystical amulet, Vixen stands 6.75" tall with incredible detail, dozens of points of articulation and accessories. Bring the heroes and villains from the popular Arrow and The Flash television universes out of the small screen and into your home with these intricately designed action figures!